Real Estate Lawyer: Do You Need One To Buy A House? Your Attorney Should Not Be. Do You Need A Real Estate Lawyer To Buy A House? For many Dallas families, buying a home is the largest single purchase they’ll ever make. So most aren’t too keen on the idea that they should add more money to the bill by hiring a real estate lawyer. However, you should know that, like buying a house, enlisting the services of an attorney is an investment in your future. Whether this is your very first real estate transaction, or you’re a seasoned property flipper, hiring a legal advisor can save you lots of heartache down the road. Here are just a few reasons why. Buying a piece of real estate isn’t typically a fast process. There are various negotiations, counter-offers, checkpoints, and obligations that have to be fulfilled–on the part of both the buyer and seller. If the seller and their real estate agent are breaking the rules, and trying to pressure you into terms that aren’t in your best interest, would you be able to tell? No one would ever sell a house that they weren’t legally allowed to sell, right? Wrong. Although it’s not always intentional, properties often go on the market even though there are legal encumbrances, such as liens or judgments still outstanding. If you aren’t using professional legal services to conduct a title search before you close on a house, you might find out that these problems are now yours instead of the former owner. In some cases, the home you’re buying is being sold by an entity other than another person. These can include corporations, trusts or partnerships. 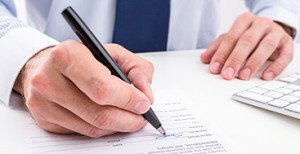 Preparing a contract for these situations and negotiating to buy from one of these entities is more complex than normal real estate transactions. Only an attorney is equipped to navigate state and federal law to make sure all responsibilities are fulfilled. Interested in protecting your investment? 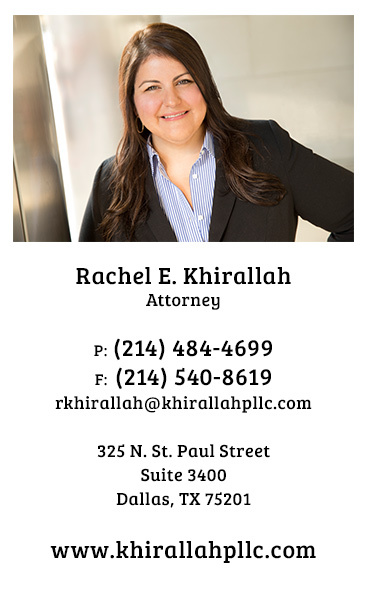 Contact the experienced real estate lawyer at Khirallah PLLC for a free consultation today. Ms. Khirallah's experience and commitment enables her to efficiently and effectively represent you in virtually any type of real estate transaction or construction dispute. We are committed to working with you to create solutions to achieve your goals in an efficient and effective manner.